During Konami's Pre-E3 Show earlier this evening, Creative Producer at PES Productions Kei Masuda discussed some of the new elements of PES 2014, including TrueBall Tech, Heart, and the M.A.S.S collision system. A full transcript of Kei Masuda's presentation can be found below. The goal of PES 2014 is to capture the true essence of football. To accomplish this, we have created a new game engine to innovate and transform gameplay. We have been developing this new engine over the course of the last few years. We call the system - centred around the new engine - fluidity. The name is derived from our analysis of total football which is characterised by fluid constant switching of positions - it was inspiring. Originally based on the Fox Engine, this new engine was created exclusively for this football game. The new images that we'll create are much higher quality than have ever been seen before in a sports game. Utilizing many new elements, our new engine is able to achieve a whole new approach to the game. The six elements of the new engine are: TrueBall Tech, M.A.S.S, PES ID, Team Play, Heart and The Core. With TrueBall Tech, you can control the ball in any direction - this even includes while it's in the air. We have also added the concept of barycentre; this allows the users to control the barycentre of players and the ball seperately making you feel that you're actually playing football. The result is a more instinctive style of play. M.A.S.S stands for Motion Animation Stability System. It simulates the physics of body contact within bespoke animations that flow seamlessly within play. We weren't looking to just add flashy moves, we wanted to bring real play and tactics to the game. When we achieved that through gameplay, the result is that PES now truly feels like a competitive match - just like the real thing. The purpose of the Heart aspect is to capture the essence of playing both at home and away. To properly create that experience, we implemented team morale and player motivation levels. So, as you play and do well, your entire team will be influenced by home and away environments. This will, in turn, affect each players' personal motivation, and as a result, affect players' abilities. Our game has a long history which can make it very difficult to think outside the box. Our new engine has been the key to breaking new ground. Of course, our older versions have had many great elements to them but we've been limited to previous engines. This time, we've changed direction and focussed on the total package - including user experience, player controls and more. We are planning many more features. We will announce these updates in the near future. Please stay tuned. The new engine will impress users with an ever-revolving gameplay experience and make scoring more enjoyable. 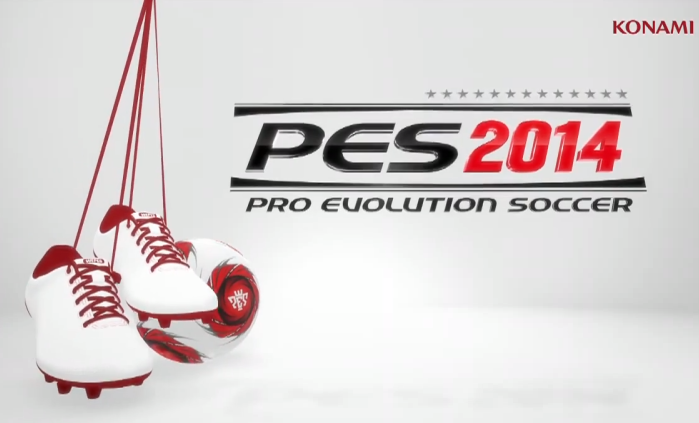 Ultimately, we really want users to enjoy this new evolution of PES 2014.